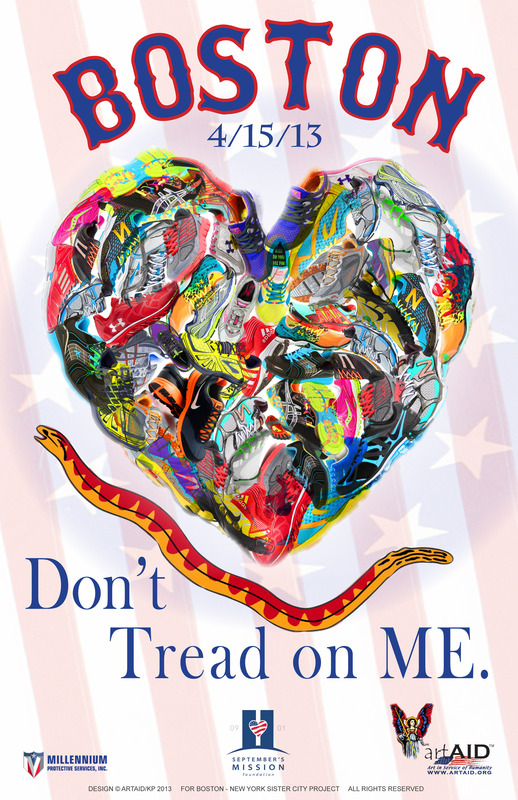 ArtAID Sister City Project for BOSTON in response to Boston Marathon bombing. New York stands with Boston in the aftermath of the bombing during the 2013 Boston Marathon In partnership with September's Mission, ArtAID has created this unique Sister City design. Nothing has been printed yet, but a limited edition of this unique artwork is a possibility. We would like to get this printed and distributed to raise funds for the appropriate charity. If you have any suggestions please email us. ©ArtAID 2013 Art in Service of Humanity.